Let’s make one thing clear before we begin: I’m not a Marvel fanboy. I don’t read the comics. I haven’t seen all the movies in the Marvel Cinematic Universe, though I have seen over half. Of those though, I didn’t think most of them were that great. Nobody can convince me that the first Iron Man or Avengers were actually good movies. If there’s one thing I am a fan of, though, it’s James Gunn’s Guardians of the Galaxy movies. I think they’re fantastic, and the only part of the MCU I’ve ever been truly excited to see more of (although I do have a soft spot for good ol’ Captain America). 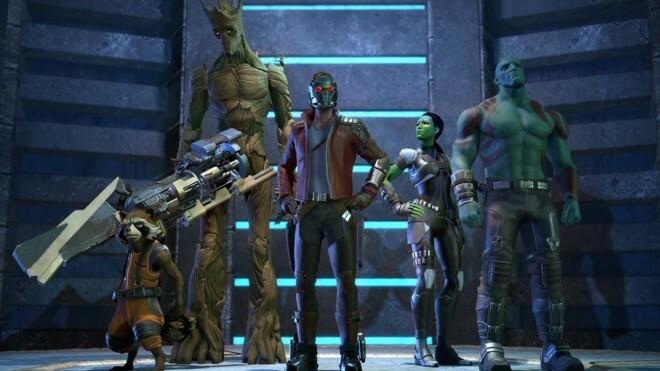 Much like their Batman series before it, Telltale’s Guardians of the Galaxy is its own standalone story separate from any comic or film continuity. 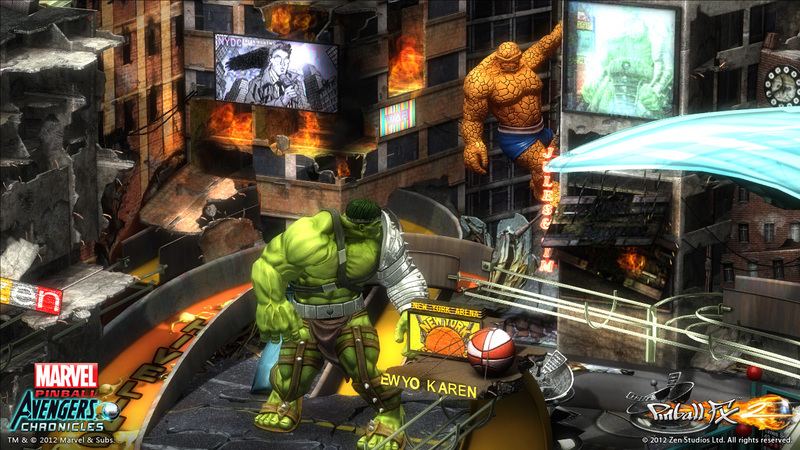 The game opens with the team on a mission to stop Thanos, which leads them to possess the mysterious Eternity Forge. Its incredible power makes the Guardians a target to the vengeful Kree, yet somehow their biggest problem seems to be agreeing on what to do with it. With everyone spending more time bickering than guarding the galaxy, it’s difficult to tell if they’ll actually save the day this time around. Gang’s all here – Perhaps unsurprising given the source material, but the best thing about the game is the characters. From the writing to the voice acting, every member or the main team is represented perfectly. Their strong, dynamic personalities make them just as likable as ever, and their interactions with each other are often more captivating and harrowing than the main conflict. You mainly play as the team’s de-facto leader Star-Lord, but every episode includes a flashback where you play as a different member. These are more often than not major highlights, giving great insight and developing each character in interesting ways. As a side note, I don’t think I can ever get enough of Nolan North as Rocket Raccoon; he’s downright perfect in the role. 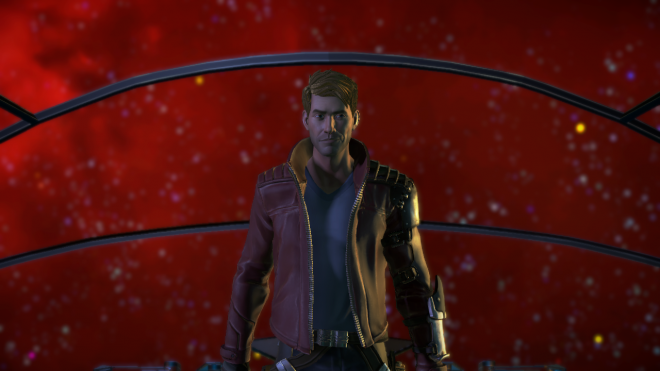 Star-Lord – Being Star-Lord for the vast majority of the series is a bit of a letdown, but it makes sense, and Telltale makes it work. As the leader, you’re making the tough decisions, and there are some big ones with lasting, interesting consequences. How you treat your teammates matters, and it’s great to see how these relationships evolve throughout the game. The actual gameplay of being Peter Quill is fun. 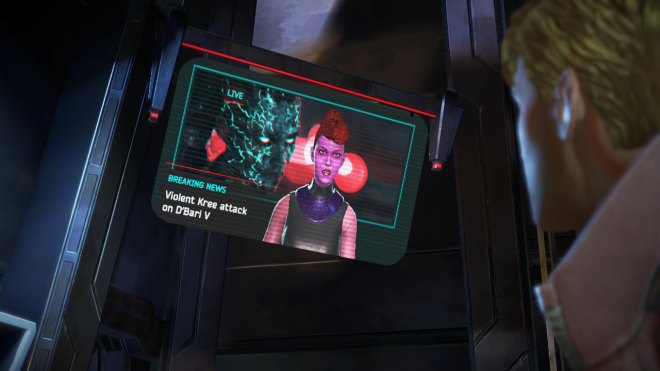 In walking sections, you can fly around with your rocket boots, talk to non-present teammates over your helmet’s radio, and use a scanner to solve the simplest of puzzles. It’s nice to see Telltale make the moments of full character control actually feel like you’re the character, even if they’re used a bit too sparingly. Identity crisis – Telltale’s Batman series succeeded, at least in part, because they drew inspiration from all aspects of the hero’s history and combined these different pieces to create a new fresh take. Guardians of the Galaxy, however, feels like the only thing they did was watch the movies. Like, you could have told me this was the original plot for Guardians of the Galaxy Vol. 2, and I would have believed you. They use the exact same characters with the exact same personalities, go to the same planets, build off familiar plot points and have the same penchant for using 70s music. Telltale does an okay job at most of this stuff, but the movies did it so much better. The dialogue writing is great, but the plot lacks excitement, and the jokes don’t always land. Heck, there’s even a joke in the finale they obviously cribbed directly from the movie. Again, I’m not a comic reader, but I know there’s a lot more to the series than what was on the silver screen; it feels as though they were told they couldn’t step out of line with the MCU’s interpretation of the universe, and couldn’t work with anything that may show up in later movies. While they mix in a few wholly unique elements, it more often than not has that sense of over-familiarity that comes across as stale. Pick up the pace – That staleness is a lot more apparent in the earlier episodes because the story takes its time to get going. It’s climactic opening notwithstanding, it’s a slow build that’s constantly sowing seeds that will sprout later. It feels like it’s dragging its feet, but it does eventually pick up in the second half, as the narrative gets more daring and decisions start to feel like they have more weight. Just as the series starts to get good, they trip over the finale, mixing in some brilliant highs with too many lackluster, under-cooked lows. For a story that moved too slowly up until that point, the end wraps things up surprisingly quickly and neatly. The series is at its best when it focuses on its characters, but the actual narrative backbone really suffers because of this. As always, the problem with Telltale’s limited gameplay and choose-your-own-adventure formula is that the game can really only be as good as its story. Guardians of the Galaxy proves to be one of their weaker games, as it struggles to find its own voice within the obvious movie-based restrictions. Even though its uninspired and somewhat dull take on the franchise, it still manages to fit in enough funny and touching moments to make the series fun to play. Telltale has certainly done worse (I’m looking at you, post-Season 1 The Walking Dead), but they’ve also done a lot better. If you’re even the slightest bit burnt out on Telltale or Marvel, this game will do you no favors. 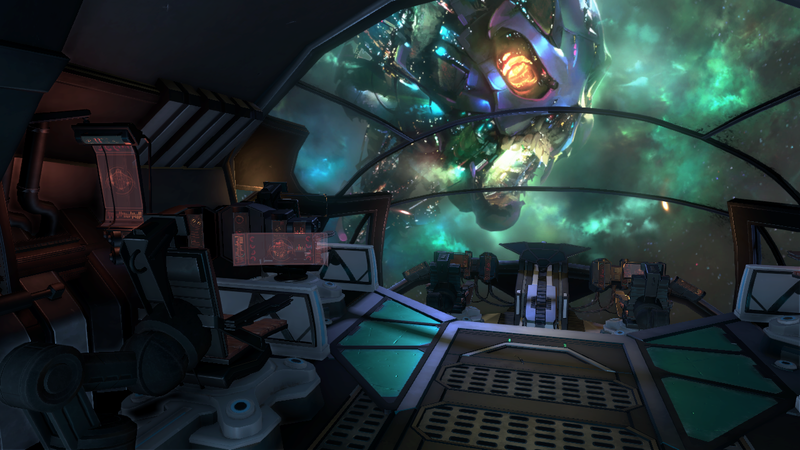 Guardians of the Galaxy was developed and published on Xbox One by Telltale Games. It was released April 18, 2017, for $19.99. A copy was provided for review purposes. This review is for the complete season of an episodic game. To find reviews for the individual episodes, check out the Guardians of the Galaxy review hub.